Hello everyone – reporting to you from TCEA 2018 in Austin, Texas! My partner in crime, Angelique Lackey, and I arrived yesterday just in time to attend a session on Pear Deck in the morning. JP Hale was the presenter, and he did a great job showing us the multiple uses of this tool as well as how to get started with it. After we saw his presentation, we decided that it would behoove us to try Pear Deck out on our own presentation – which were giving at 2 yesterday afternoon. The good news is that everything went smoothly and the only regret that I had afterward was that we hadn’t added even more interactive options to our presentation. What is Pear Deck? It’s a tool that you can use to invite audience participation as you present. Anyone with a device and your join code can interact by drawing, adding text, moving icons, etc… (Some of these options are only included in the Premium version. Two download a trial copy of the Premium version that will last you the rest of this school year, go here.) Pear Deck has template slides that you can use, but the great thing is that you don’t have to create your presentation on the Pear Deck platform. You can import Powerpoint, Slides, and PDF’s into Pear Deck, or you can do what we did- use the Pear Deck Add-On in Slides. If you have a Google Slides presentation all ready to go, you can just go to “Add-Ons” in the top menu and choose to Get Add-Ons. 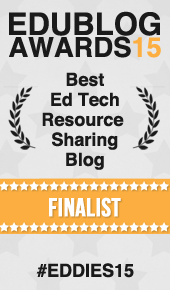 This will take you to a site where you can search for and download the free Pear Deck Add-On. Once it is installed, you can access it through the Add-Ons menu to open a side bar as you work on your presentation. The side bar gives you buttons to quickly add interactivity anywhere you like in your slides. Once you are ready to present, you can choose to “Present with Pear Deck.” Pear Deck will take a moment to process everything, and then provide a slide that prompts the audience to go to joinpd.com and enter the special code to participate. One thing that I should note is that any special animations or transitions that you may have added in Slides will not transfer when you Present with Pear Deck. However, that was not a crucial issue for us. The Pear Deck creator can choose to make the presentation student-paced, allowing everyone to move through slides on their own, or only allow the audience to see on their devices what you have on the screen. As you project, you can also decide if you want to show the responses on the screen in real-time by toggling an icon on the bottom right of your screen. 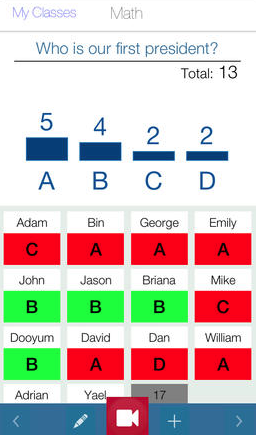 Responses are anonymous, but the teacher can access the names through a teacher dashboard. We had great fun during a brainstorming activity in our presentation as we scrolled through drawings and text responses. Pear Deck was also an excellent way to give the audience a chance to ask specific questions anonymously at the end so we could respond immediately. When you are finished presenting, Pear Deck gives you the option to send the entire presentation and responses as a Google Doc to all participants. This is not only great in situations like ours, but could be wonderful for test reviews in the classroom. If you want more specifics on Pear Deck, I highly recommend this article by Eric Curts of Control Alt Achieve. You can learn more about the 21 Pear Deck templates included in the Google Slides Add–On in this post. 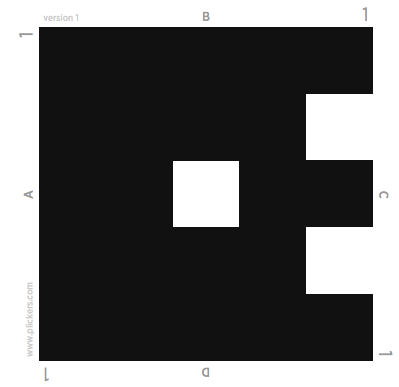 Thanks to JP Hale for introducing us to this great tool, and to our patient audience as we tested it out! Kahoot has become a popular informal assessment for the classroom. But it does not always need to be used in this way. The Kahoot blog recently offered some more suggestions for implementing Kahoot with your students. 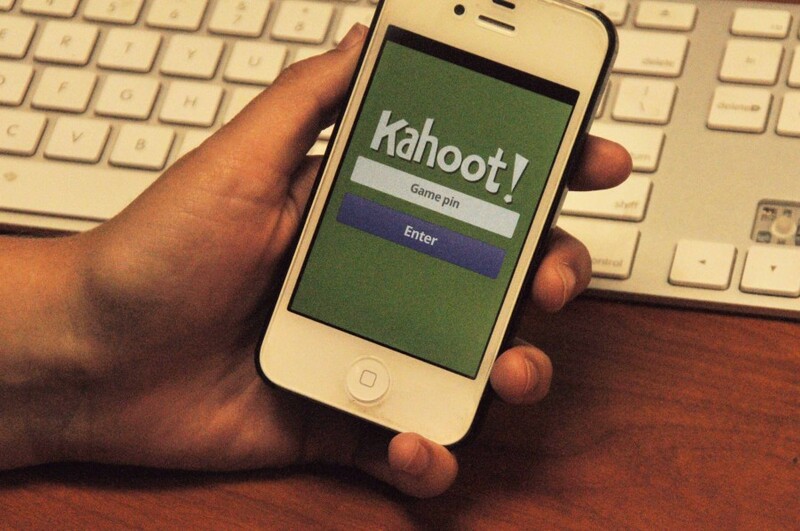 Check out this article to see additional creative ideas for integrating Kahoot. If you are reading this post because the title excited you, I am sorry to say that I do not know of a simultaneous back channel/polling app. This post is to request your help in finding one! I recently got a great comment on my post about using Socrative as a Back Channel. The commenter, a professor named Lisa Halverson, asked if I knew of any way to allow students to use Socrative or any app as a back channel while also having the ability to answer polls so the teacher could get a feel for understanding. It appears that Socrative only allows for a teacher to have one room/quiz going at a time. I can certainly think of some roundabout ways to achieve this (see below), but does anyone know of a tool that does this with less preparation required? If so, both Lisa and I would love to hear about it! If not, then one of you smart developer-types needs to get right on that! By the way, Richard Byrne just did a great post on 12 great student feedback tools that you should definitely read if you haven’t tried one or if you aren’t happy with one that you use. As far as I can tell, though, none of these do the specific job Lisa and I require. My roundabout solution? (Bear with me because I am an Apple girl – not sure how Android devices would work other than that I’m pretty sure they have browsers!) 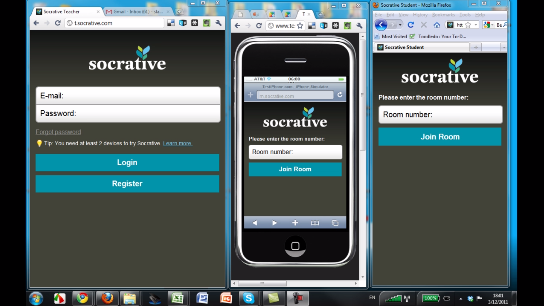 I would have all students use the browser to access Socrative for real-time quick feedback questions from the teacher. I would also have them add a second tab that has a Padlet (or even a shared Google Doc) to use as a back channel for timid students to ask questions or make comments. If you want to get really fancy schmancy, there are several apps out there, such as this one, that will split your browser (but the free ones do have ads). Rumor has it that the next iOS might allow you to split your screen so you can use 2 different apps at the same time – but we’d still like to have it all in one! Example of using a split screen app on the iPad. A Socrative quiz is going on the left. A Padlet (set to the stream layout) is on the right for a backchannel option. Good news – this app is free and you can create bookmarks so students don’t have to type in a URL every time. Bad news – it has ads. If you are teaching college students, that’s probably no biggie, though. A few years ago, I was introduced to the concept of the “Back Channel” during a technology conference. For those of you who have not used this before, it’s basically an online account where audiences can post questions and comments during a presentation instead of interrupting the speaker. Every once in awhile, the speaker can refer to the back channel, and speak to the points brought up by the audience. Today’s Meet is a common web application used for this purpose. When I tried it a few years ago, it was blocked by my district. There are others (some people use Twitter, Edmodo, or Google Drive) that I’ve tried since then, but I gave up for awhile, frustrated with technical issues I kept encountering. Plus, I don’t really lecture a lot, so it seemed unnecessary. We had a parent visit my 5th grade GT class the other day to present Google Glass. He had come to the 4th grade class a few weeks before, and the students seemed to have a hard time giving him a chance to speak. So, I thought about trying the “Back Channel” concept one more time. This time, I decided to use Socrative. Socrative has been a free student response tool that I’ve used for several years, and it never lets me down. 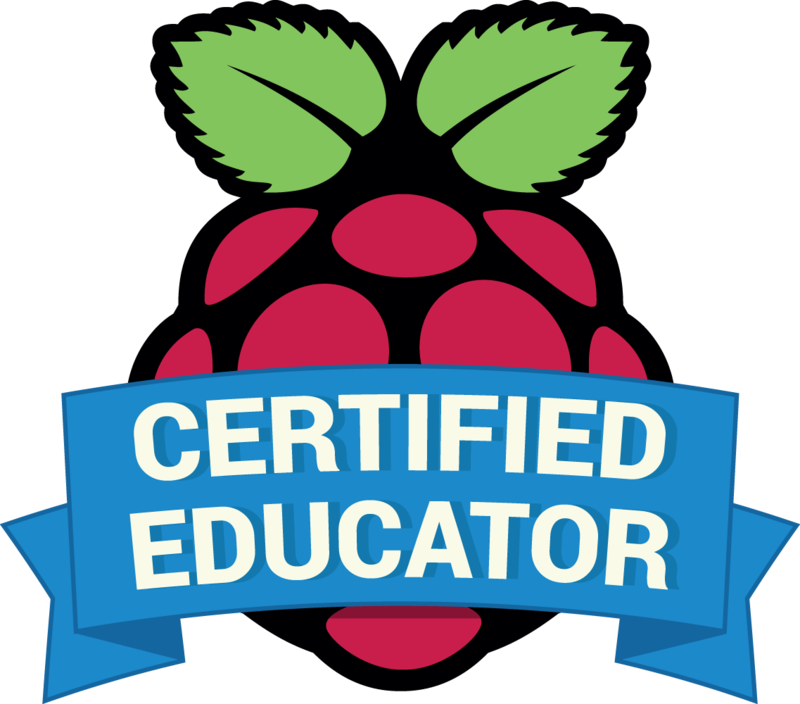 There are apps available for the teacher and student, but you can also use the web-based version. 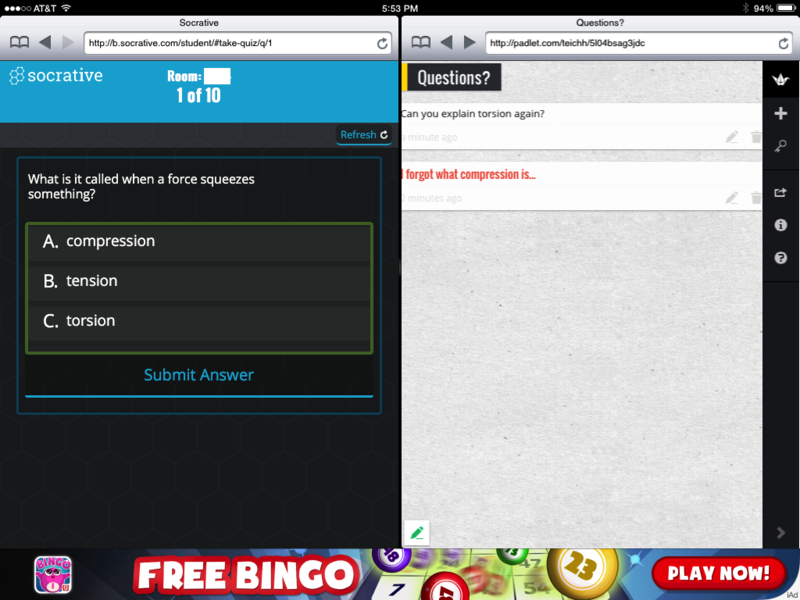 I generally use Socrative for exit tickets or quick quizzes ( the students absolutely LOVE the Space Race option!). But there is also a Single Question, Short Answer option that I decided to try out as a Back Channel. Before the Google Glass presentation, I explained to the students that we would be using Socrative for their questions and comments, and that we would periodically pause to hear our guest’s responses. I loved how this worked. With a few scheduled pauses, we could glance at the list of questions, and see which ones had already been answered, which ones were common or unique, and address any misconceptions. The only thing I didn’t like was that one student got silly with her comments (and subsequently got her iPad taken away). I’m planning to start using this for Genius Hour presentations. It seems counterintuitive to have the kids typing while someone is speaking, but it actually appears to keep them more engaged, as most of them are genuinely interested in coming up with good questions and comments. It’s also nice that Socrative allows you to download or e-mail yourself a record of the responses. Copies could be given to the presenters to help them with a reflection about their project. Socrative has a new 2.0 beta version, which is much more visually appealing here. (I used it when it first came out, but there were a couple of glitches. They have probably been resolved since then, but I haven’t had a chance to test it out recently. Either download the student app or add a desktop shortcut to the web app on each student device. Show the students how to access the student page, and to input the room number. 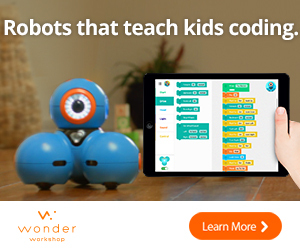 Younger students may need help figuring out how to get to the numbers on the keyboard! Have your students enter just first names or initials when prompted. If you are doing a Single Question, Short Answer activity for a Back Channel, be sure to choose unlimited Student Responses, and request their names (this provides accountability). Make sure students log out when the activity is finished, so students who use the device the next time don’t get confused. Of course, not every classroom has one to one devices. You can have them pair up, pass a device around at tables, or have recorders who type in questions or comments that students have written down. (This way, all questions/comments can be in the same document, instead of various pieces of paper.) If you are really low on tech, Jared Stevenson (@eduk8r_Jared) mentioned during the #txed Twitter chat last night that he once saw a teacher who used a special spot in the room for students to post their questions. The point, as always, is to give students a meaningful voice. Socrative is just one way to do this that I’ve found to be very efficient and to enhance our learning. 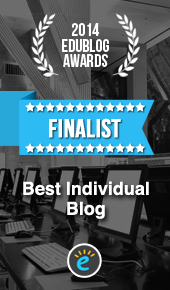 For the summer, I have decided to use my Tuesday and Thursday posts to reblog some of my favorite posts that some of my readers may have missed the first time around. UPDATE: Socrative can be used as a web-based program, but now also has an app for Android and iDevices available (also for free).